Nashville, TN – Smoking will be prohibited in public housing units across Tennessee and the U.S. effective July 31st, 2018. The smoke-free rule is part of a larger plan to decrease building maintenance and smoke-related damage costs, reduce the risk of accidental fires and create healthier environments by reducing exposure to secondhand smoke. The Tennessee Department of Health reminds Tennesseans who smoke that free help to quit smoking is available through the Tennessee Tobacco QuitLine. 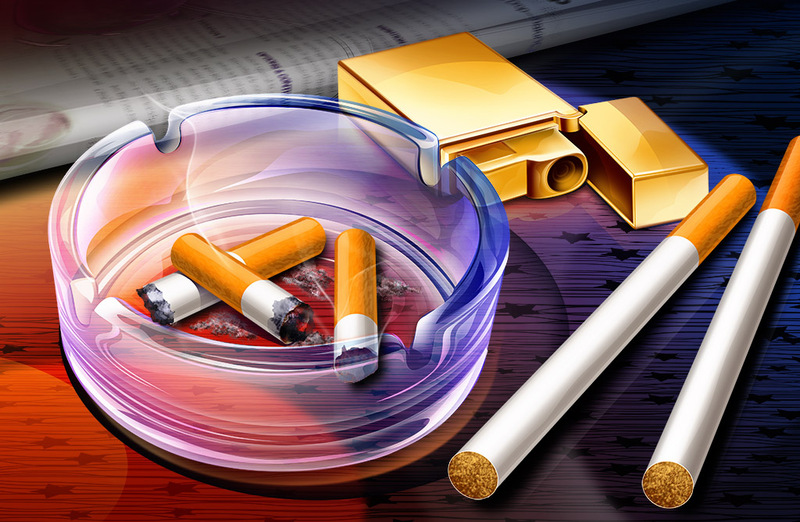 Public Housing Smoking Ban went into effect today, Wednesday, July 31st. 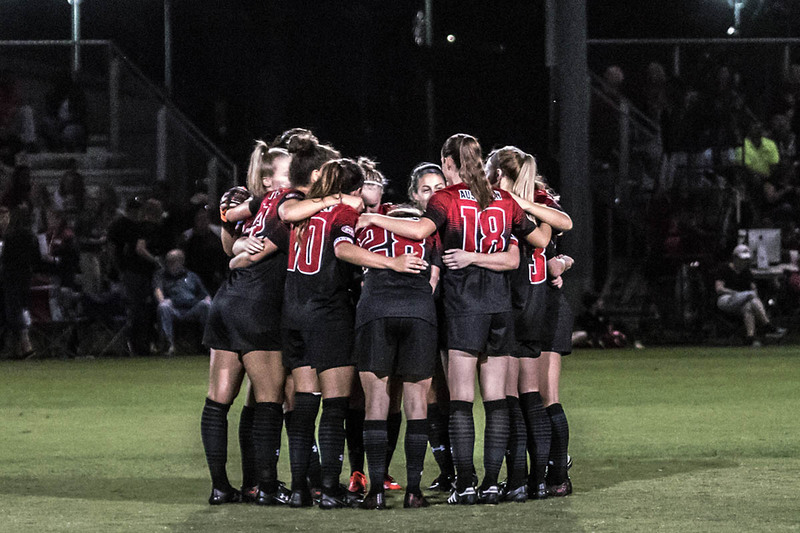 Clarksville, TN – Austin Peay State University (APSU) women’s soccer team begins its preseason training, Wednesday, August 1st, 2018. This season will be a first for the Govs, as head coach Naomi Kolarova leads the team after being announced as only the second head coach in program history last winter, taking over from former long-time coach Kelley Guth. 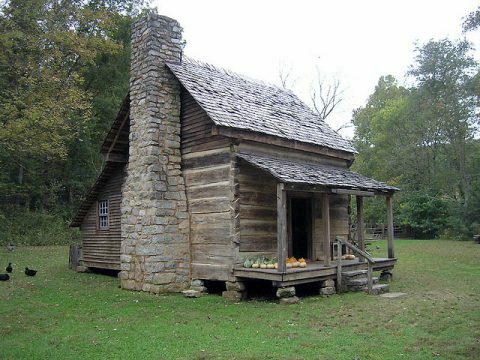 Dover, TN – HistoriCorps, a national nonprofit dedicated to preserving America’s historic structures, in collaboration with Land Between the Lakes National Recreation Area, will start restoring the Homeplace 1850s Working Farm from August 12th – September 14th, 2018. 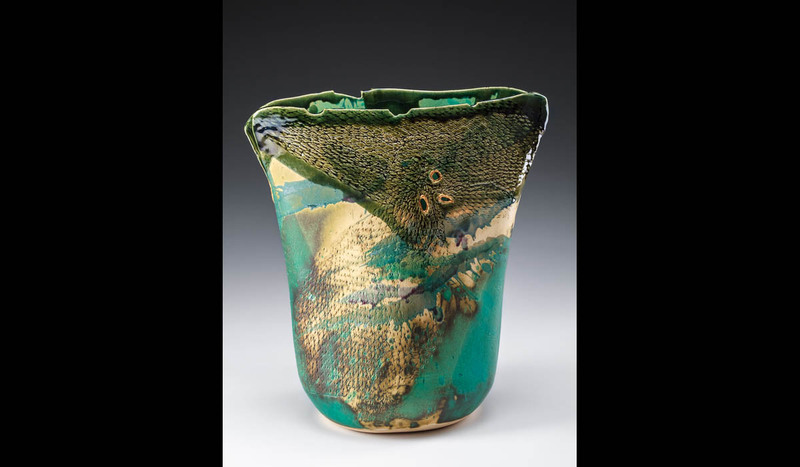 Situated in The Trace, Tennessee, the community has stood the test of time since its inception in the 1850s. LBL’s Homeplace 1850s Working Farm and Living History Museum from Pre-Civil War Era to Undergo Preservation Efforts. Clarksville, TN – Police Chief Al Ansley along with members of Clarksville Police Department’s command staff, recently attended the Tennessee Association of Chiefs of Police (TACP) conference in Knoxville, July 25th-28th 2018. The TACP was formed over 47 years ago with the goal of improving professionalism and communication among police chiefs and other officials locally and statewide. 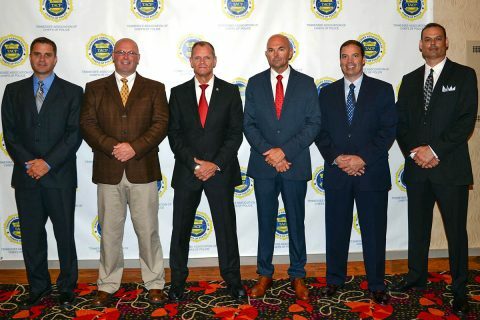 (L to R) Capt Ty Burdine, Capt James Smith, Chief Al Ansley, Capt David Crockarell, Capt Richard Stalder, Capt Scott Thornton. 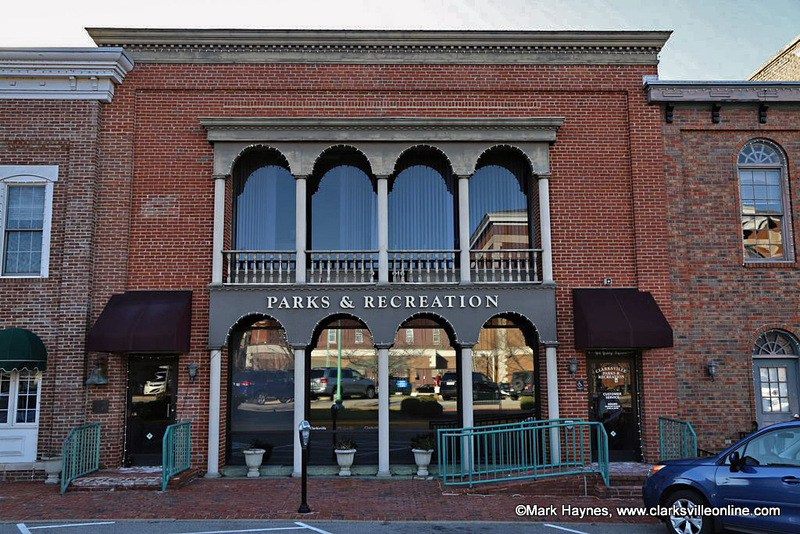 Clarksville, TN – The City of Clarksville’s Parks and Recreation department recently received a status of “Gold” from the Clarksville-Montgomery County (CMC) Green Certification Program for their efforts in creating a healthier, environment-friendly workplace. The CMC Green Certification Program is designed to help governments and businesses learn and implement the best practices in environmental stewardship, in an effort to sustain the community’s resources through a series of free workshops taught by environmental and other subject area specialists. Clarksville Parks and Recreation Department earns recognition for conserving resources and reducing waste. Some of the events in August at the Museum are: Fantastical Patterns: Best of Tennessee Craft, International Reflections: The Art of Women Artists Mentors, Our Town: Stories Within Clarksville’s Doorways, and Model Trains Special Run. 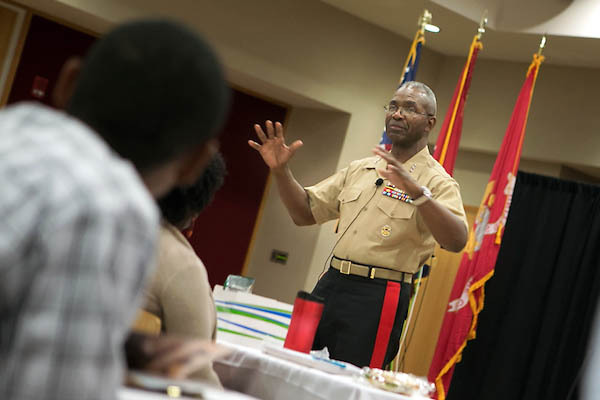 Clarksville, TN – Retired Lt. Gen Ronald Bailey, Austin Peay State University vice president for external affairs, will be the guest speaker at APSU’s Summer 2018 Military and Veteran Graduate Recognition Ceremony this August. The ceremony, set for 5:00pm on August 8th, 2018 in the APSU Morgan University Center, honors the University’s graduating students who are either veterans, active-duty military personnel, reservists or members of the National Guard. Austin Peay State University vice president for external affairs retired Lt. Gen Ronald Bailey. Huntsville, AL – 35.8 million miles is definitely not what most of us would consider “close.” But in planetary terms, close is definitely relative! 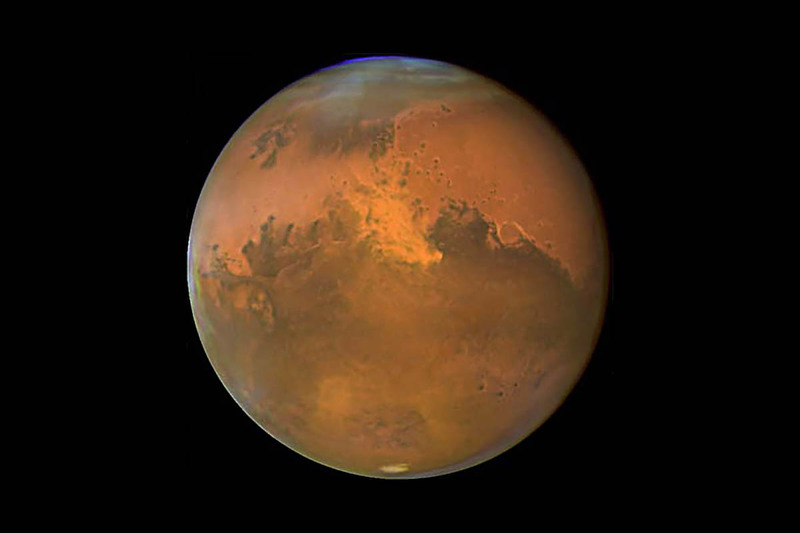 On July 31st, Mars will be 35.8 million miles from Earth, which is the closest it has been to Earth in 15 years. What does this mean for sky watchers? It means the Red Planet will appear super bright, and with its orange-red color, will be hard to miss in the nighttime sky. From July 27th-30th, the point in Mars’ orbit will come closest to Earth, and will be closest to Earth before sunrise Eastern Time on July 31st. Salt Lake City, UT -The Nashville Sounds scored three runs in the ninth and four runs in the 11th to cap a dramatic come-from-behind 11-8 win over the Salt Lake Bees Monday night at Smith’s Ballpark. The four-hour, 28-minute marathon featured 13 pitchers, 31 hits, 15 walks and saw the two teams combine to go 17-for-50 with runners in scoring position. 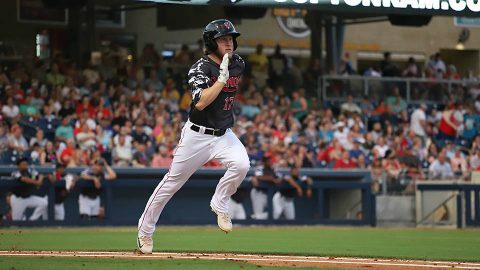 Nashville trailed 5-0 early as Salt Lake chased starter Daniel Mengden in the bottom of the first inning after four runs and 41 pitches. Six Nashville relievers combined to limit the Bees to four runs over the next 10-plus innings to keep the Sounds alive.